This is a very special set of teardrops. 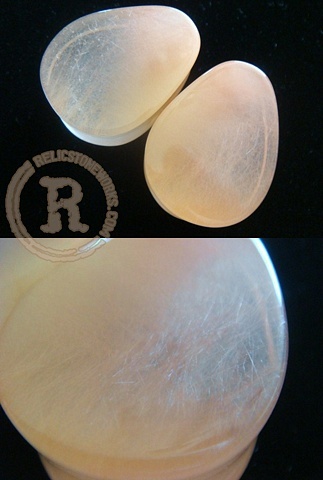 It is a very clear Quartz with a windstorm with the finest needles of Peach colored Rutile. We do have some available rough as well for smallish projects.